GHT’s specialized studios for Building Systems, Interiors, and Operations & Energy Services offer teams that are focused on the distinct needs of each project type. Our staff members’ in-depth expertise results in a customized approach to your challenges. Collaboration between GHT’s studios creates solutions that are based on a building lifecycle perspective. 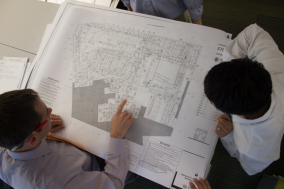 Our teams apply their collective knowledge of MEP systems, tenant layouts, and building performance trends to address immediate goals and support long-term value.